Classroom is a free web-based platform available only to Google Apps for Education accounts. Classroom can be used to distribute and turn in assignments, the home base for an online class, or everything in between. Teachers can quickly see who has or hasn't completed the work, and provide direct, real-time feedback and grades right in Classroom. Assignment portal: Distribute and collect individual student work. Whole class collaboration: share a Docs or Slides file with the whole class. Share documents or other class materials: share study guides, lists, worksheets, video, images, or other digitized material. Homework reflection: Enter homework assignment as a discussion. When students complete the offline work, they login to Classroom and complete the assignment by sharing what was easy, challenging, or interesting about the assignment. Exit ticket: Assign a discussion with a key question regarding the day’s activities. Students respond prior to leaving the classroom, or as a short homework assignment. Reflect on learning: Create a discussion and invite students to privately reflect on their learning. One-sentence summary of day's lesson: Ask students to write a summary sentence that answers the "who, what where, when, why, how" questions about the day's lesson. Class discussion portal: Begin a class-wide discussion in the Stream. Project management: Create a separate Classroom for a group project to allow students to share documents, resources, and communicate. Digital writing conference: Students submit work when they are ready for review. Teacher comments on product, returns to student who incorporates suggestions and continues working. This process can be repeated as many times as necessary. Writers Workshop class: Students post their writing as a comment or read-only document. Classmates provide constructive feedback through in-document comments or by commenting directly to the post. 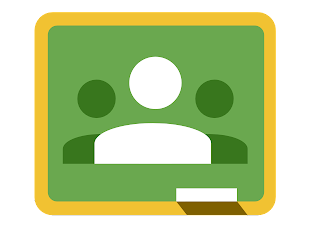 Multi-School collaborative class: This feature allows students and teachers from different schools to connect, communicate, and collaborate in a way they couldn’t do before. Reuse post: Go back and reuse an assignment or post published previously, in this class or any other where you are a teacher. Before republishing you will have the opportunity to review and modify the post. Create question: Post a question and have students respond privately (to teachers only) or publicly (to the whole class). Some teachers use this as exit tickets, informal pre-assessment, opinion poll, or just a way to check-in with each student. Create assignment: Attach a template or even a blank file (Docs, Sheets, Slides, Images) and distribute an individual copy to each student. You have immediate access to student files to monitor progress and provide ongoing feedback. You can also attach any file type for students to view only (PDF, Word, etc.). Link to a specific website, Google Form, or YouTube video. It is possible to add multiple files and links to a single assignment, providing students with everything they need in one post. See the embedded video below for a demonstration. Create announcement: Use this to remind students about upcoming deadlines, share an interesting web-find, or just make a general announcement. Now that students can turn in assignments at any time, you may want to set a specific time deadline. You may create a post in one class and assign to multiple classes or cores (you must be a teacher for each class). Teachers and students may comment on posts (unless teachers change student posting privileges on the Students tab). Students have one more way to reach out to classmates (and teacher) regarding any confusion they have about an assignment. This is also a great way for students to practice social media etiquette and digital citizenship. It is possible to limit student posts and comments. Click the drop down on the Students tab to allow students to post and comment, allow students to comment only, or disallow students from posting or commenting. When digitally conferencing with students, use the grade column as a way to count the number of times work has been returned. Minor editing to an assignment or post is possible after it has been published. Number your assignments so they are easier to find and follow in your Drive (all submitted files will be saved in the Classroom folder on Drive). Orange Slice (Google Docs add-on) is a digital rubric tool. The teacher version allows for rubric generation and scoring. The student version allows students to self-assess using a holistic version of a teacher supplied rubric. Share to Classroom (Chrome extension_ allows teachers to automatically push out a website to students (must have Classroom open), or for students to share a website with teachers (does not automatically open). Alice Keeler Open Side by Side (Google Chrome extension) will assist teachers in more quickly viewing the assignment page and student work. This extension adds the ability to right-click a link and open it side-by-side the current window.